Don’t be scared about paying for studying abroad. 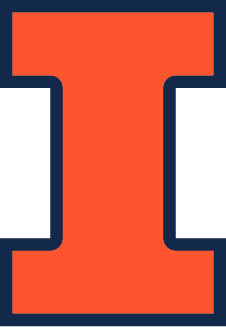 There is a little more to it then paying for a traditional semester at Illinois, but not much. We’re here to help make it as simple as possible. There are two groups of costs when it comes to studying abroad: billable and non-billable. International Insurance and Safety Fee. For complete details, refer to the budget sheet for the program you are interested in and/or the Program Fee Contract for the program you are participating in. Please note that you may need to pay for many of these charges in advance, while others may be due upon arrival. If you are relying on financial aid or scholarships to pay for these items, you will need to use other sources of funds before your financial aid and/or scholarships is/are credited to your Illinois Student Account. When you study abroad, you will continue to receive E-Bills from Illinois at the beginning of each month. Payment procedures for study abroad charges on your Illinois Student Account are the same as when you study on campus. Because of FERPA regulations, the IPENG Office cannot release any information concerning your account to anyone other than you without your permission. If another individual is responsible for paying your Student Account, PLEASE AUTHORIZE THE PAYING PARTY TO ACCESS YOUR ACCOUNT by completing the Release Account Information questionnaire in your study abroad program application. Please use this form to designate the individual(s) who will be in charge of your financial matters while you are abroad. You should also set this individual up as an Authorized Payer on your Student Account.